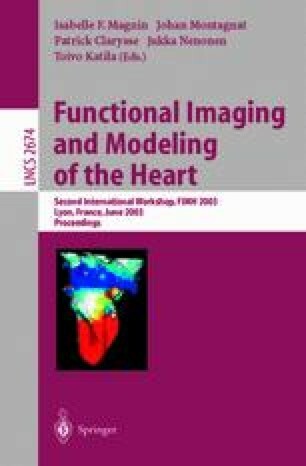 Magnetic resonance perfusion imaging has become a technique of choice in the evaluation of patients with suspected coronary artery disease (CAD). In order to improve the quantification of perfusion parameters (such as signal intensity amplitude and upslope), an automatic registration technique is proposed. The results are compared to manually registered perfusion sequences. Perfusion maps computed from original and registered data sets are also compared. Automatic registration can be efficiently used as a post-processing technique to improve further qualitative and quantitative evaluation strategies.